Stories of God Moving – North American Baptists, Inc.
Sarah-May has served on staff with Brentview Baptist Church for six years. Listen to her story of how God is encouraging and inspiring her to live more missionally in her city and to attend to the stirrings in her soul, together with a community of leaders called Blue Ocean. We would love for you to consider joining us at the next Blue Ocean in October. Contact us to let us know if you are interested or to get more information. If you haven’t signed up for our next Leadership Teleconference, sign up now! 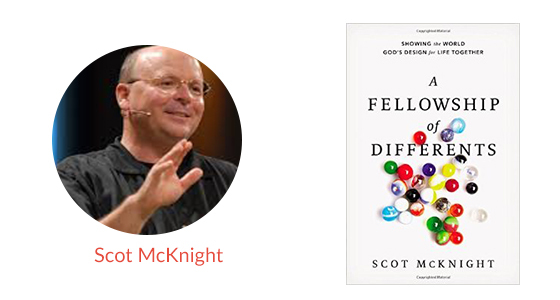 Scot McKnight is a brilliant professor and student of Scripture and a seminal and refreshing thinker about the church. A Fellowship of Differents paints a picture of the church that is beautiful to behold, a church made up of all sorts of different people—people of different ethnic backgrounds, political opinions, socio-economic positions, life experiences, sins, stories, gender, age, etc. It’s an inspiring book. Why not gather a group of three or four leaders, read, and discuss this book together? Then join other NAB leaders on May 25 for our discussion with Scot; click below for more information. May 7, 2017— Tony Campos, Casa de Luz, Sacramento, California. Casa de Luz is a Hispanic church, but decided last year to launch an English service as well. Because of this, they have seen people from different backgrounds and ethnicities come to know the Lord. Casa de Luz is also involved in two new church plants: one in Natomas, a neighborhood in north Sacramento, that has already seen some fruit; and one in Lodi, a rural city south of Sacramento, that is still in the early stages of evangelism and discipleship. Tony and his wife, Fabiola, have three children. Pray for the development of new leaders within the English ministry. Pray as well that the new church plants will effectively reach out and disciple those within their community. For more information, check out www.casadeluz.net.